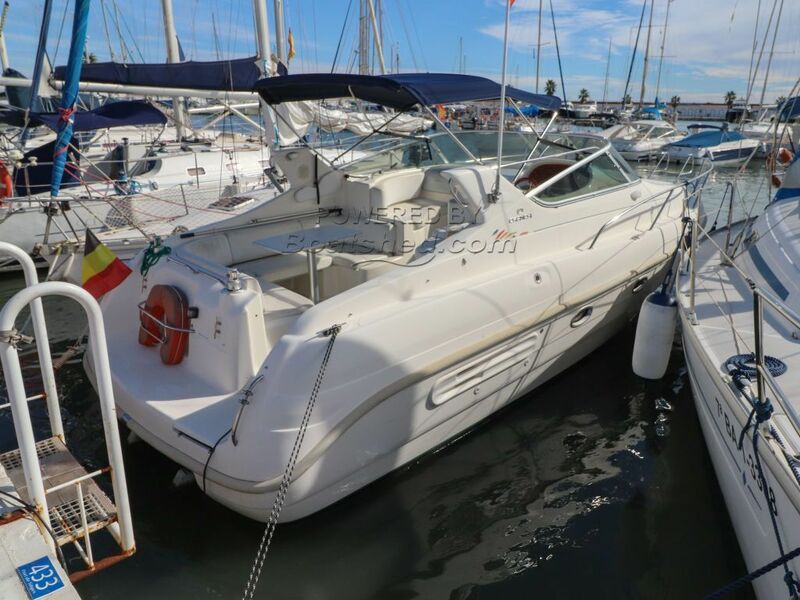 A great family boat and a popular Cranchi model offering enough accommodation for a small family for weekend or even longer stays aboard. A well-sized seating area in the cockpit with a lounger next to the helm position. Powered by twin Volvo Penta Diesels giving a reliable economic ride. Dutch registered although this is easily changed if required. EU VAT/IVA paid. Spanish matriculation tax paid (previously Spanish registered) Ideally located close to Barcelona Airport. This Cranchi Giada 29 has been personally photographed and viewed by Paul Griffiths of Boatshed Barcelona. Click here for contact details.